Cruisespirit is the sister ship for Adventureworld. 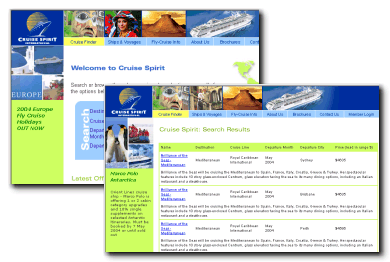 This website offers fast search access to hundreds of cruise holiday offerings. All content is scheduled and configured using the Adventureworld admin site. Brochure request functions and user login are also handled by the existing functions in the Adventureworld website. Website CMS, Newsletter marketing, private agents’ area powered by Firebird SQL database.